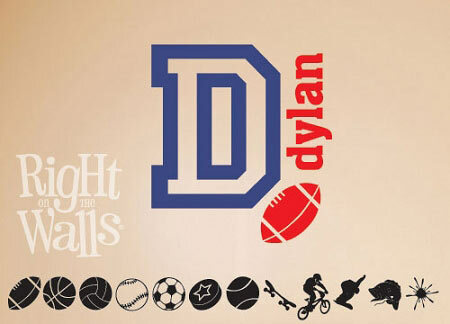 The Sporty Name wall decal is personalized with any name (first or last). 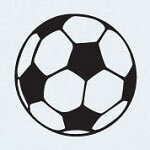 Easily apply the vinyl wall art to your sports enthusiasts bedroom wall. 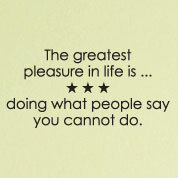 Great for boys and girls! Customize with the color combo of their favorite sports team, or to match their room decor. 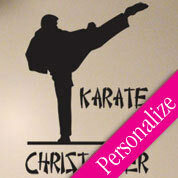 Purchase includes 22" high large letter decal, 5" tall name and 8" wide clipart. Complete instructions, application tool and product sample included with every order.